We love unique pieces and this one does not disappoint! Two-in-one floral print gathered front top with long sleeve striped attached cardigan. 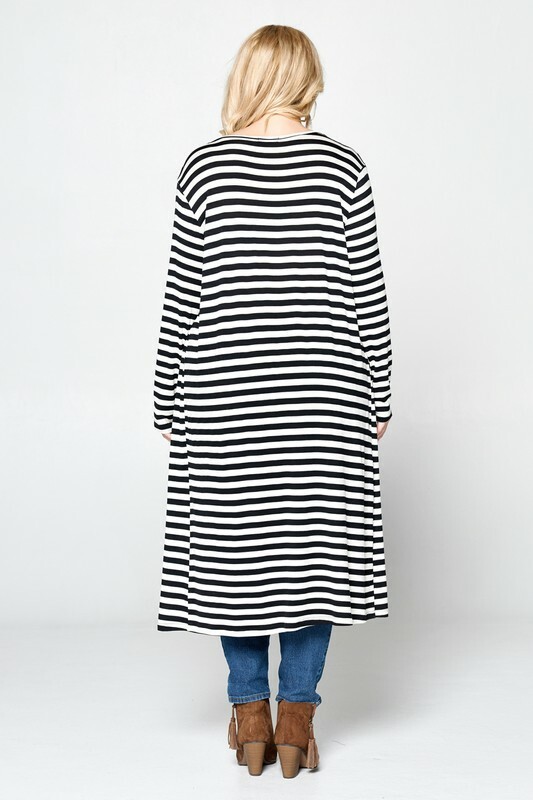 Stylish, super soft rayon jersey knit and comfortable to wear. Full length: 26 1/2" - 44"
Model is 5' 9" wearing a size 1X.